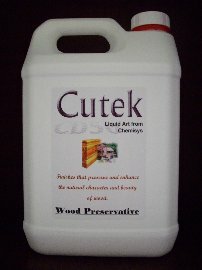 5 lt. of Cutek Wood Preservative 'Clear'. No colour toner added. All orders come with a 'one off' shipping fee of £10.60 + VAT irrespective of volume.